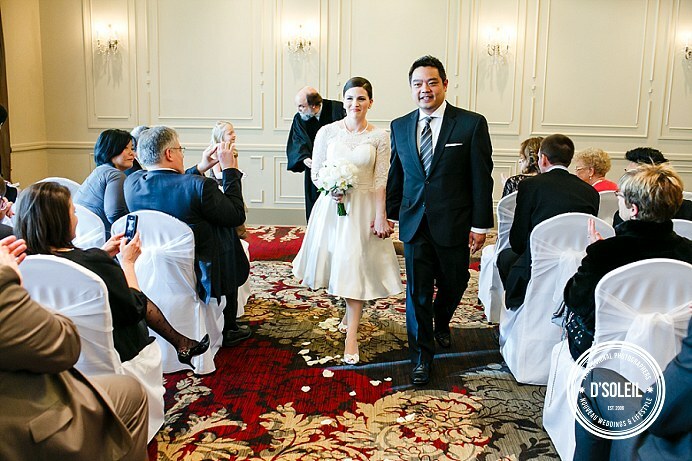 Erin + Hoong married earlier this year and held their Terminal City Club wedding ceremony in the Walker Room and main Ballroom. 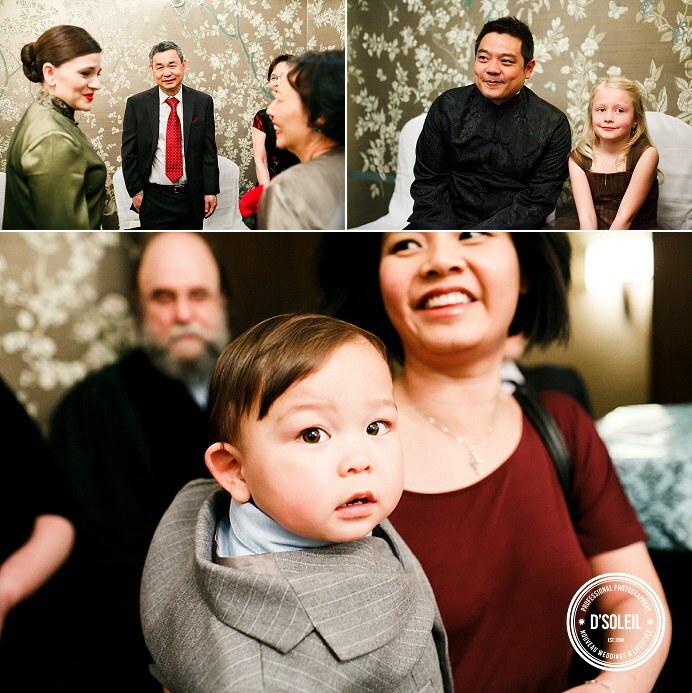 Photographing this event was special for us because Erin and Hoong asked us to photograph not just them, but also their celebration with their guests. 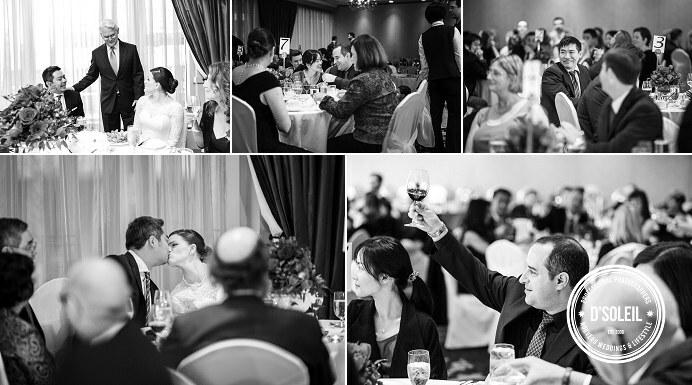 As wedding photographers, we approached this wedding with the aim of capturing the emotions, reactions, and interactions between people and the beautiful spaces within the Terminal City Club. 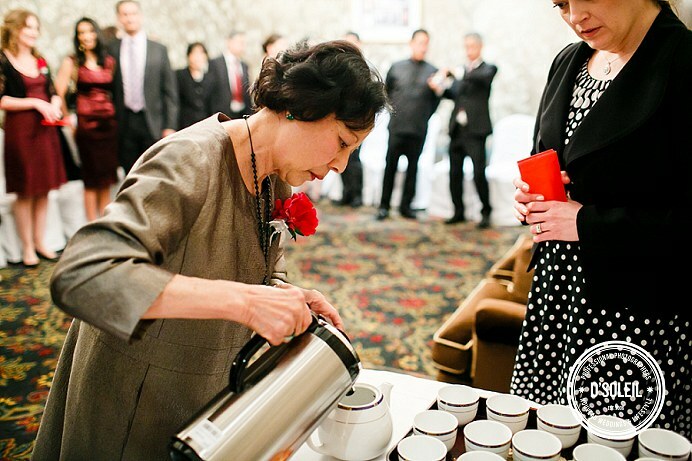 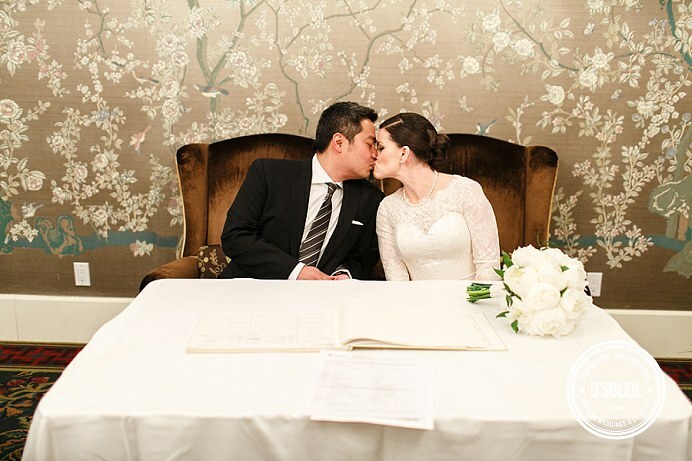 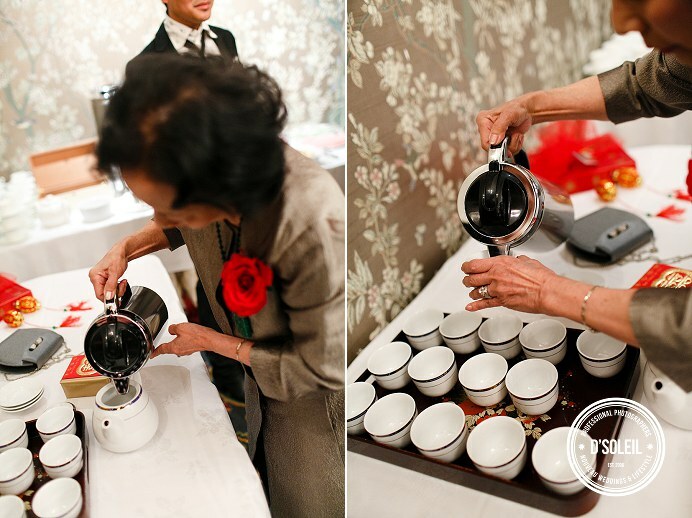 Erin and Hoong served tea to close relatives in a Chinese ceremony that took place in the Gibson Suite before their Western Terminal City Club wedding ceremony in the Walker Room. 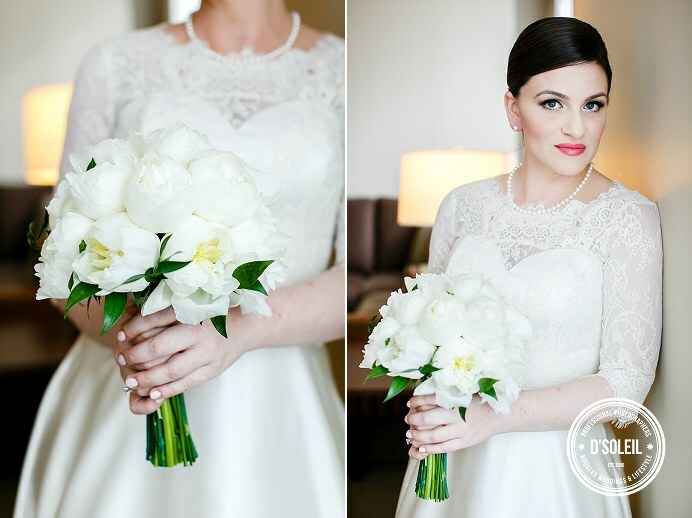 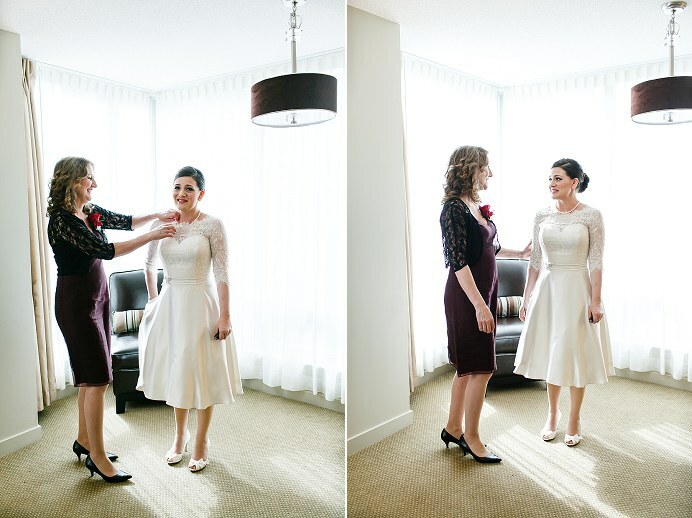 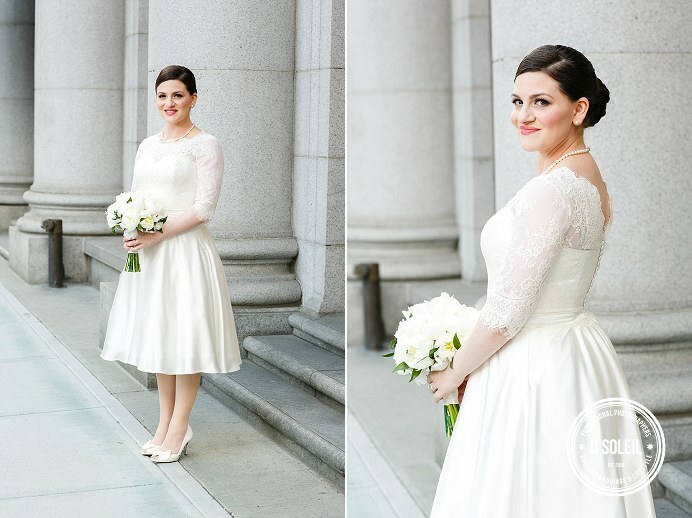 After the tea ceremony, Erin rushed up to her suite at the Terminal City Hotel to change into her wedding dress, which she made herself. 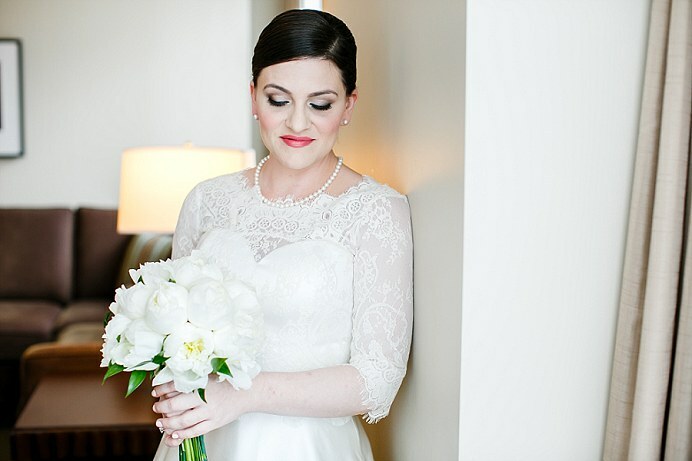 The lace looked beautiful on her, a mix of contemporary and vintage timelessness. 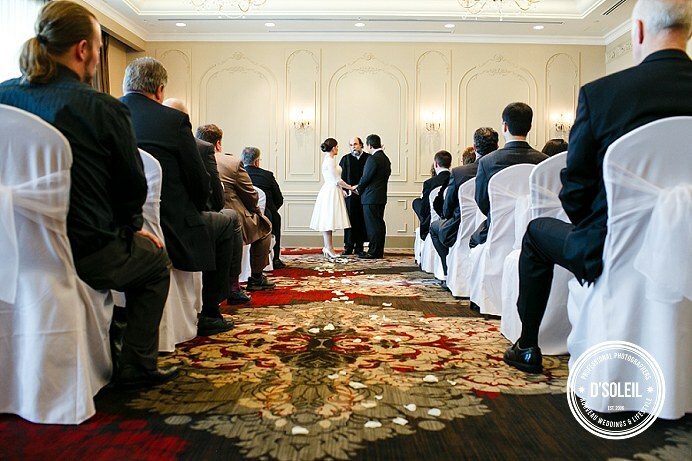 Their ceremony took place in the Walker Room, adjacent the Terminal City ballroom on the main level. 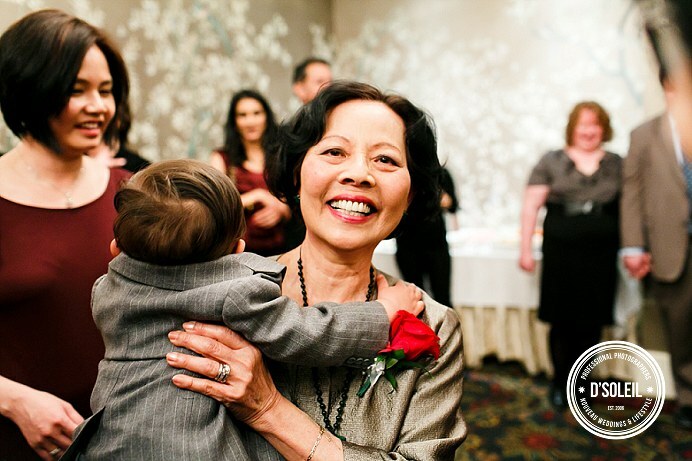 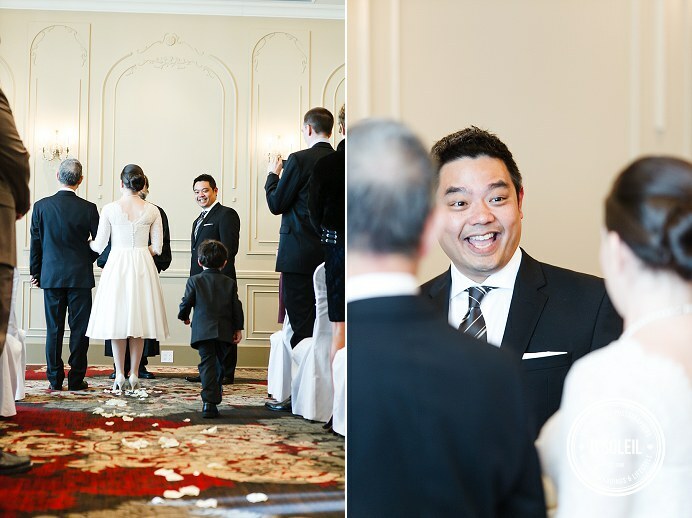 The photo we loved best was one that Paige photographed of Hoong’s expression upon seeing Erin walk down the aisle. 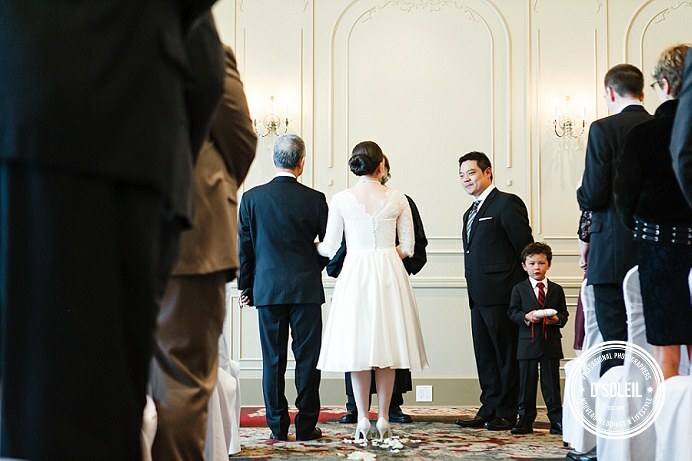 After the ceremony and family photos, we walk across the street for a few quick photos, a couple of which, Hoong took himself with his camera phone. 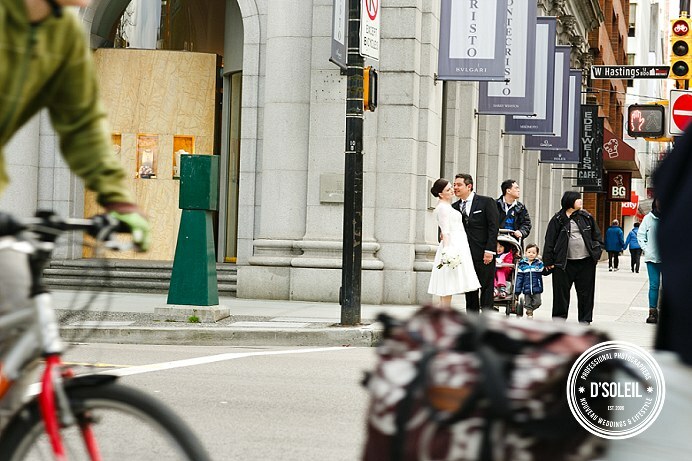 We spent about ten minutes outside, grabbing a few shots of Erin and a few of Hoong along West Hastings. 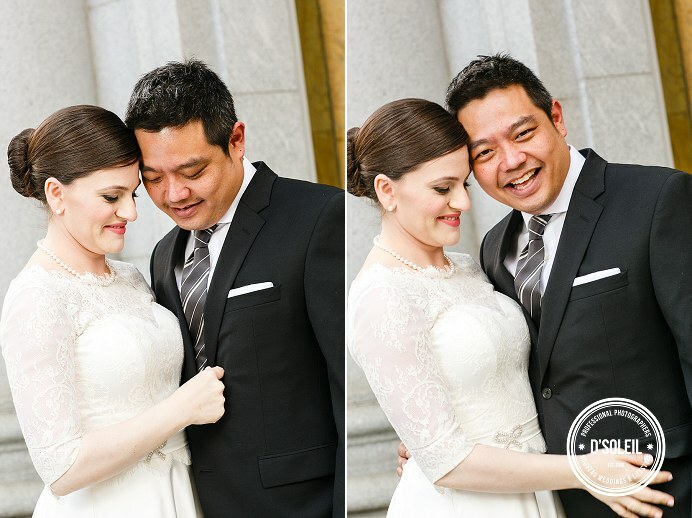 It didn’t take long for them to warm up to the camera, and we photographed a few simple, but fun shots of them both before heading back to the Club for their wedding reception. 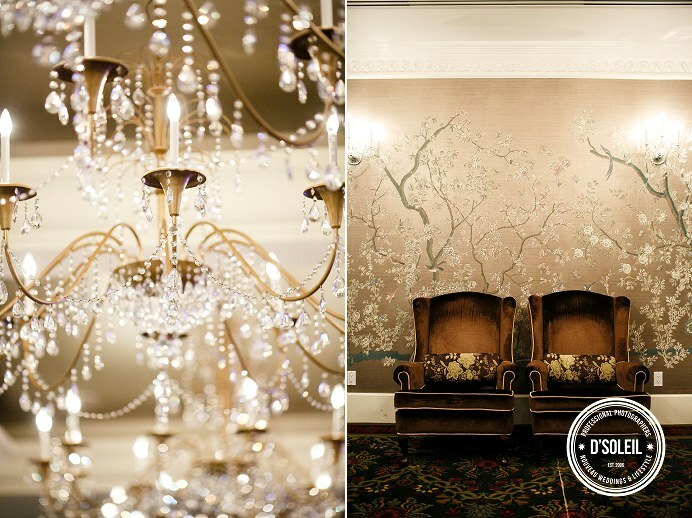 Terminal City Club weddings are always beautiful. 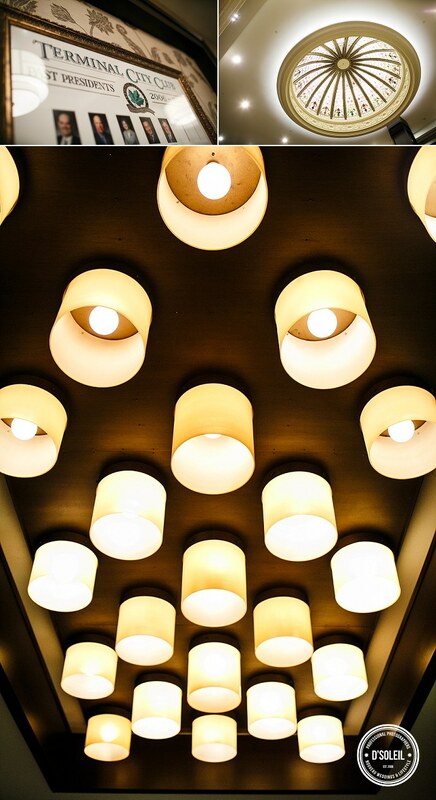 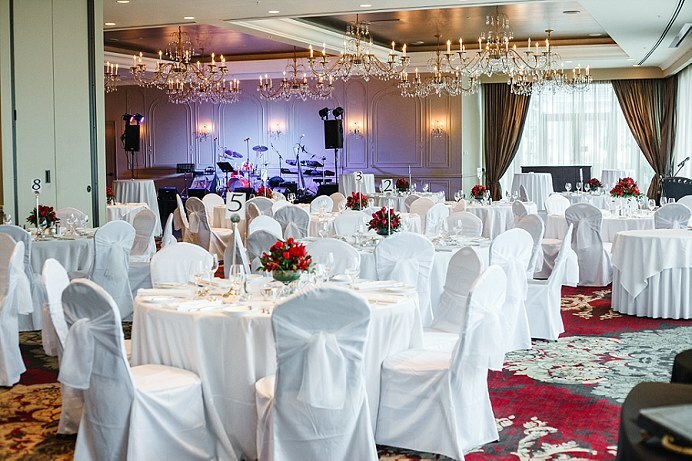 There a timeless elegance in the way the ballroom appears, with its classic decor features and ambiance. 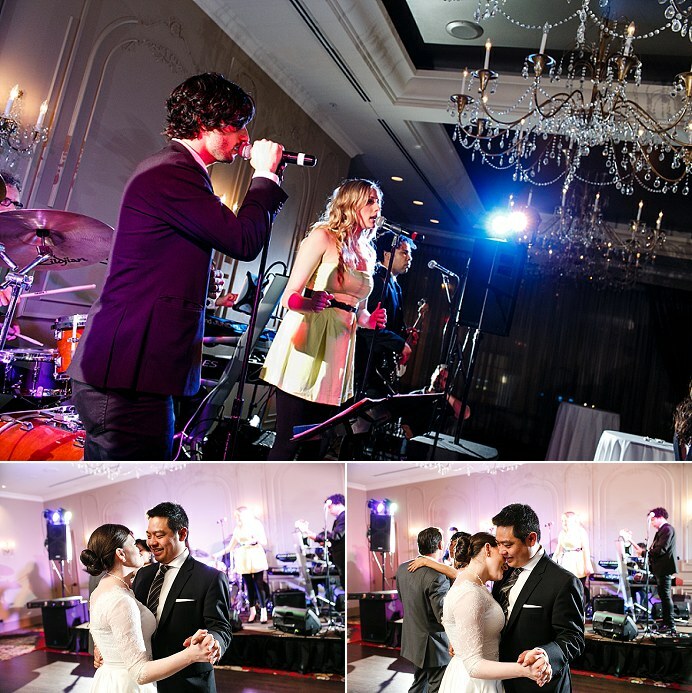 I knew the guests were in for a treat when we walked in and saw the stage set up for a live band. 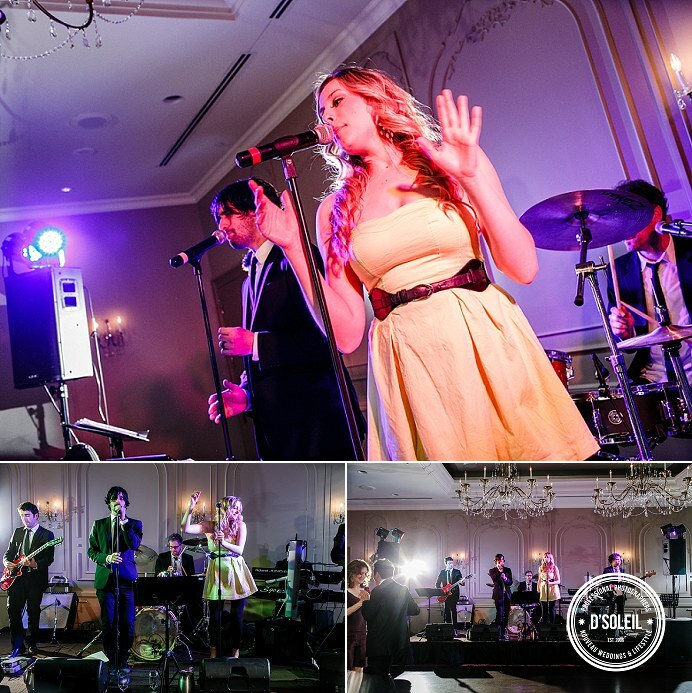 There’s something very special indeed about having a live band at a wedding, especially when it’s Side One Band. 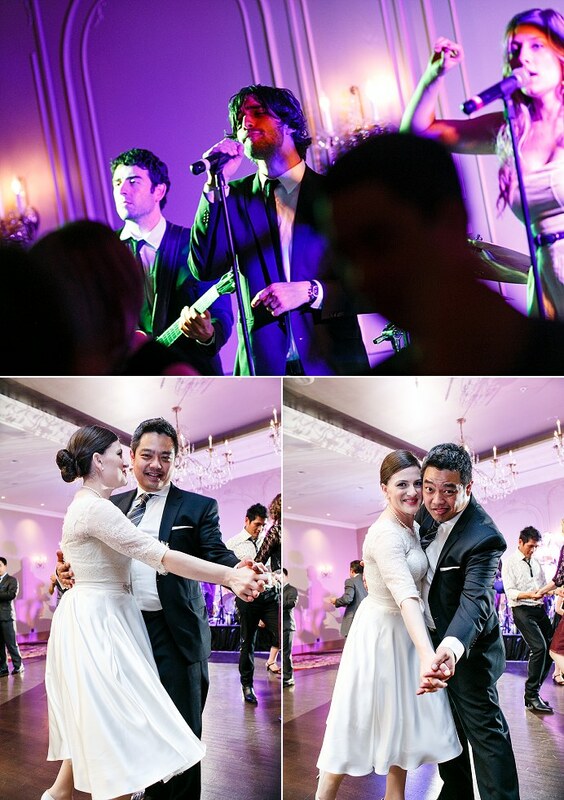 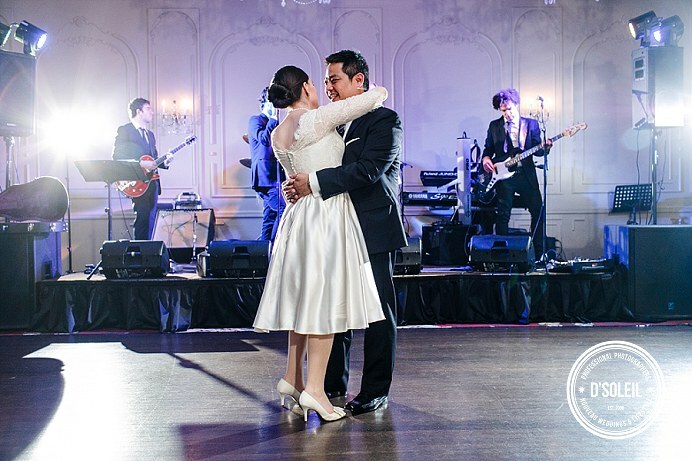 After dinner, speeches, lots of meet and greets with friends and family, the part began with Erin and Hoong’s first dance. 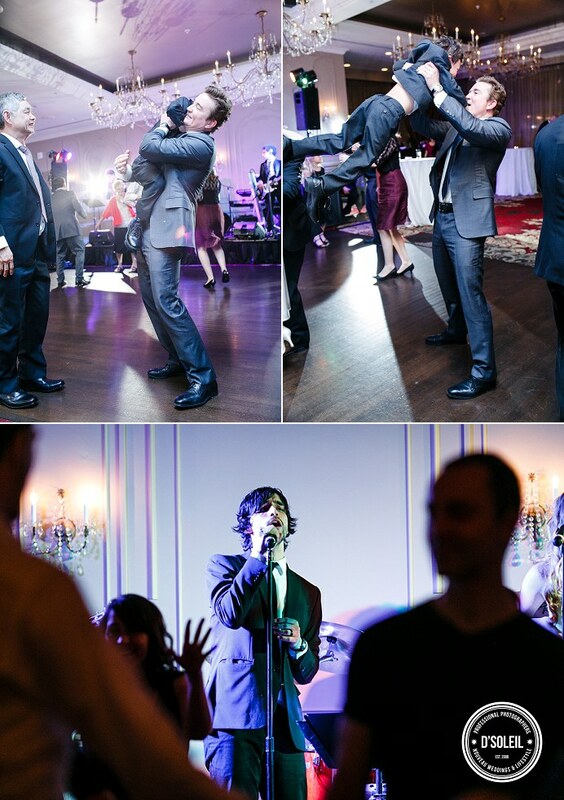 Needless to say, the live performance was fun and inspiring. 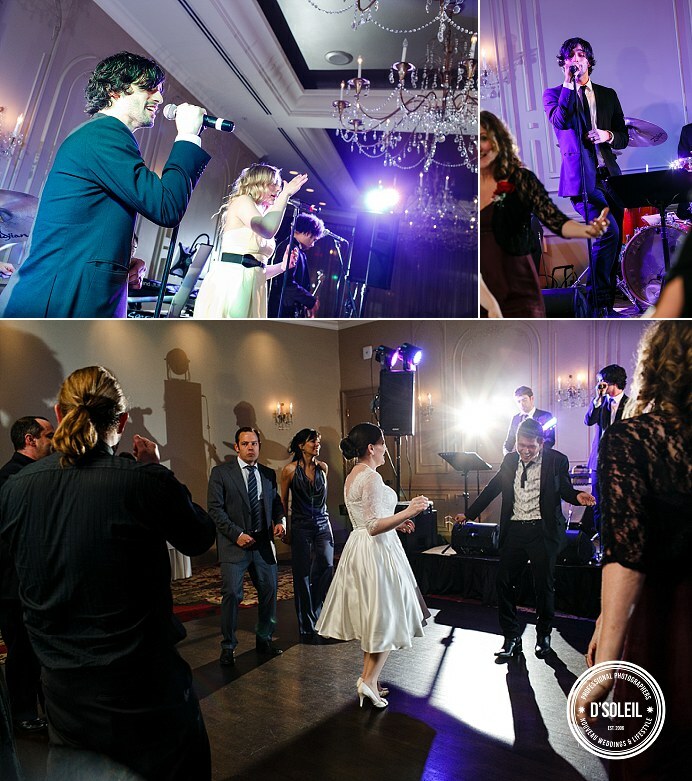 Guests quickly filled the dance floor and the part kept going as Side One Band played their Top 40, Rock, and classic favorites.